Even if they would not admit it right away, the average smartphone or tablet owner spends more and more time playing video games on their mobile devices. It does seem pretty logical then for smartphone manufacturers to use this fact to their advantage, now, doesn't it? Well, it looks like this is exactly what HTC is working on right now – after a revealing trademark application was spotted on the USPTO's web page, speculations have started going back and forth saying that HTC is already developing its very own gaming portal. HTC PLAY – this is the trademark that the company has registered, and judging by its name and description, it will most probably have something to do with video games. Digging deeper through the filing we read more hints like “retail store services” and “software provided via the Internet,” both of which make the video game marketplace hypothesis even more credible. To some of you, this move may not come as that big of a surprise since HTC has already launched its HTC Watch video streaming service. Besides that, the company has filed for two more trademarks – HTC Read and HTC Listen, which means that we may see a whole line of media and entertainment hubs preloaded on future HTC devices. Unfortunately, at this time, HTC PLAY's launch date is anybody's guess. We don't even have a clue whether it will ever see the light of day or not, but if the service is meant to go live, we hope that it will do a good job in satisfying our craving for video games. 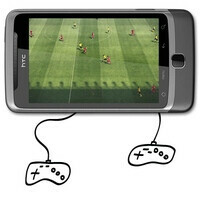 That will be great if HTC will make their own gaming service! Nice idea and another reason to buy HTC device. I totally agree with you. HTC needs to brand themselves outside of just their phones. This is a great step in the right direction!